Kiawah Island, South Carolina is a high-end, remotely located resort just 30 miles outside of Charleston. Families who vacation there have beach access, but did not have an aquatic facility available for resort vacationers to use. 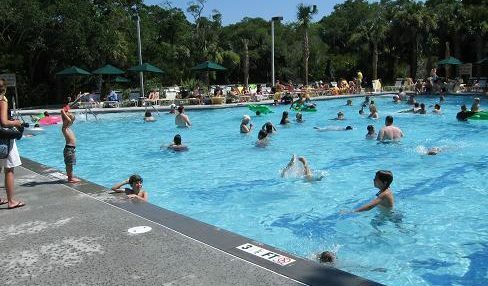 With the ever-increasing demands of vacationing families, the develop ers of Kiawah Island Resort needed a top-notch outdoor, family-friendly aquatic facility in order to remain a top destination in an ever-changing, competitive beach resort rental market. 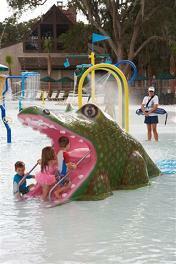 We designed a unique outdoor aquatic facility to give them just what they needed. Considering the resort’s demographics we created an aquatic design with multiple zones, something along the lines of a “hybrid” aquatic facility where adults and children can have a memorable experience that provides their family with endless hours of entertainment. 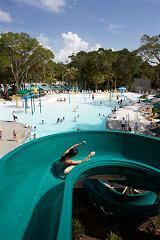 In this aquatic park are four (4)zones, areas designed to serve a multitude of purposes. 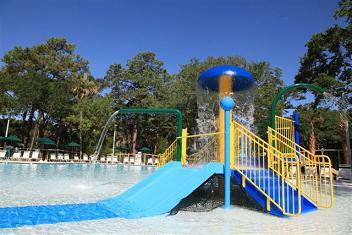 There is a landing pool, two swimming zones, and an aquatic play park. 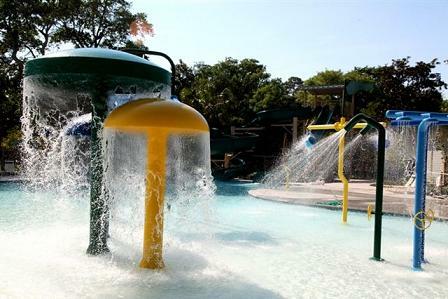 There are two water-slides, thirty-one (31) sport/spray play water features, and a beach entry access that is 80.3 feet in length. 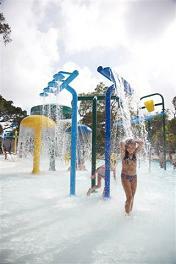 Overall the combination of uses this design offers and the experience it provides for families taking a beach vacation has exceeded the expectations of Kiawah Resort vacationers. 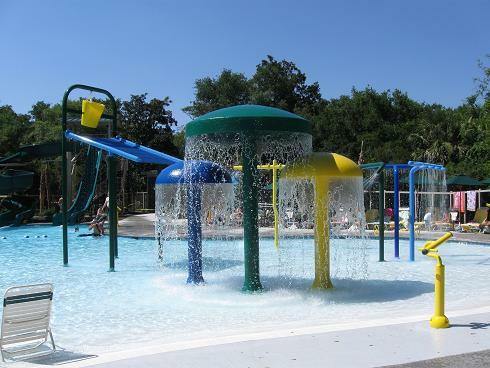 As a matter of fact, we have received phone calls from repeat resort renters telling us how happy they are with their new aquatic facility. Tower, One (1) Water Wall Spray-play Feature, Two (2) Misty Spray-play Water Features, One (1)Double-shooter Spray-play Water Feature, Three (3) Mushroom Fountains of varying heights, One (1)Water Curtain, One Tumbling Bucket Structure with six (6) buckets, One (1) Angled Spray Pole, One (1) Straight Spray Pole, Three (3) Spray Arches, Three (3) Rooster Tail Sprays at Beach entry, One (1) Double-Spray Water Curtain. The materials used on this project include an interior finish of Cona-coast aggregate plaster with blue flecks, Tile is NPT Seven-seas Lake Blue, the deck is concrete with a rock salt finish, the coping is poured in place cantilever.